The lavender plant has been used for perfumes and potpourri for many years. To produce lavender oil, we often use a steam distillation to extract the oil from the lavender flower. Lavender oil is commonly found in many products, such as lotions, gels, and soaps. When purchasing lavender essential oil, opt for a high-quality brand that is organic. This is especially important in case you want to ingest it or use it topically. Lavender oil offers many benefits thanks to its sweet, flowery aroma. Now, in this article, we will show you some of the lavender oil benefits for skin, hair and health. Now, we all know that lavender essential oil offers many benefits for beauty and health. Now, it is time to learn about these lavender oil benefits as well as how to use lavender oil correctly and safely. Most of the ways mentioned in this article of Healthy Guide could be apply with ease at home. So check out below! The following are main ways that lavender essential oil can benefit your skin. Just keep in mind, using lavender oil can cause skin irritation in some cases. So, before using this oil on your skin, you should do a patch test. 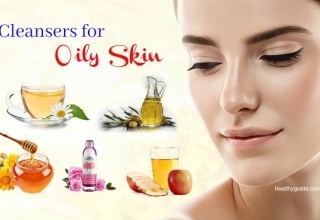 This should be the first one among lavender oil benefits for skin that we want to mention in this article. Eczema can be an uncomfortable skin condition, but you can get rid of the itching, inflammation and irritation associated with eczema. This is because lavender oil can help relieve itching and simultaneously reduce the eczema symptoms. 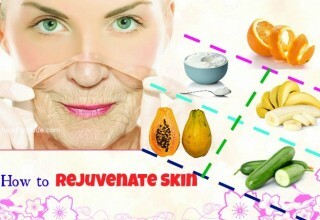 It also relieves the irritated skin areas by adding moisture and boosting the healing process. If you have eczema, you can consider talking to a natural health professional and then include lavender essential oil in your skincare routine to naturally reduce the eczema symptoms. 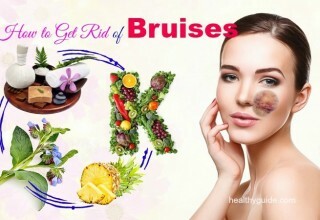 Read on 24 Tips How To Get Rid Of Eczema Rash & Scars On Legs, Arms, Hands & Feet to discover some of the simple yet effective tips to help you treat eczema rash and scars on body’s parts. 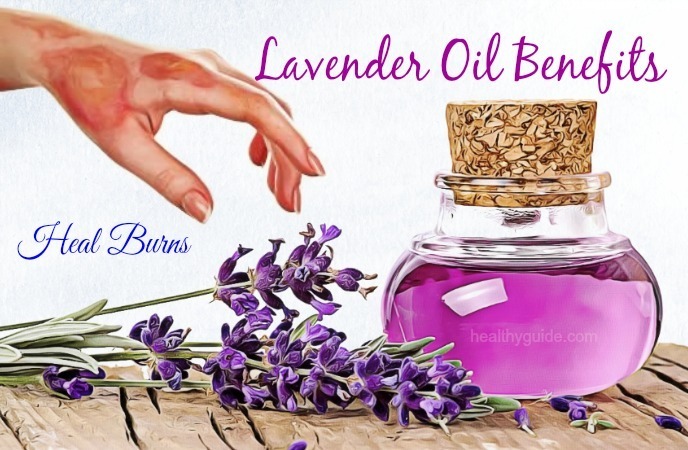 The anti-inflammatory and antiseptic properties of lavender oil are effective in healing the burns, and simultaneously treating the burn scars thanks to its powerful antimicrobial properties. 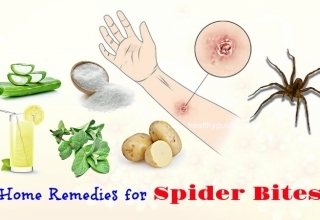 It prevents infection, fights against fungal and bacterial disorders as well as stimulates the healing process. Moreover, lavender oil can also work as a natural pain reliever. To use lavender oil for burn treatment, you just need to add some lavender oil to your burnt skin area after placing it under running cool water for 10 minutes. Reapplying this application can boost the healing process. When lavender oil is mixed with other essential oils such as cinnamon, tea tree, and clove in a ratio 1:1, you can have a great oil mixture for treating bacterial and fungal infections. However, remember that you have to consult a doctor right away if you have serious burns. List of Top 7 Simple Ways To Use Coconut Oil For Burns And Cuts On Face And Hands will show you some of the simple uses of coconut oil for cuts and burns on facial skin and body skin, so check it out! If you are unsure about lavender oil benefits for acne, then you can take advantage of lavender oil and witch hazel. Lavender oil is a natural ingredient that you can make use of when it comes to treating acne problems. The oil contains antiseptic and anti-inflammatory properties, so it can fight the acne causing bacteria without clogging your skin pores. Besides, this essential oil can protect your skin from irritation and stress while balancing hormone levels. Simply, you just need to apply some lavender oil on your acne marks using your fingers or a cotton swab. 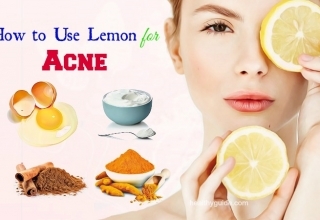 Alternatively, you can also make a homemade facial toner to treat acne. Mix some lavender oil with 1 tbsp. 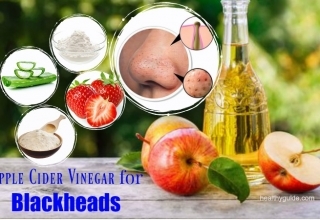 of witch hazel, and then apply this mixture onto your clean skin with a cotton ball. The witch hazel can tone your skin while lavender oil can heal an acne breakout. If you are looking for lavender oil benefits for face, you should not forget that this essential oil can help relieve sunburns. Actually, applying diluted lavender oil onto your sunburn can help reduce the swelling and burning. When you suffer from the sunburn, the first thing you should do is to rinse your sunburnt skin with some cool water. Then, mix some coconut oil with lavender oil before applying this oil mixture to your affected area. Repeat this home remedy as necessary. 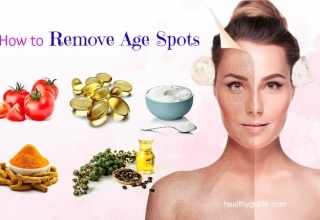 Our skin is exposed to many environmental toxins as well as other pollutants, so there is no wonder that our skin health starts have signs of premature aging and rough appearance. Fortunately, we have lavender oil that contains powerful antioxidants to help fight against negative effects of pollutants on our skin. According to a study, lavender oil is known as one of the essential oils that can help inhibit the skin-bacteria growth that you should consider including in your skincare routine. You can try making a homemade lavender bath detox to provide your body with a sensory sensation. When combined with Epsom salt, it will be an ideal option that will remove toxins from your body while reducing stress-related hormones, soothing the skin and balancing pH levels. Simply, add 10 drops of lavender oil and some Epsom salt to your warm bathwater. Then, soak yourself in this bathwater for 20 minutes. For the best result, repeat this home remedy once a week. Firstly, boil 100ml of water and then add the lavender buds so that they will be completely submerged. Then, cover this bowl and let it steep for several hours. Drain this mixture into a glass bottle before placing it in the fridge. Next, spray some lavender water on a clean cotton pad and then use it to gently your face. Lavender oil is great for preventing sunburns from occurring on the lips and healing dried, chapped lips. You can make a soothing lip balm by combining an ounce of virgin coconut oil with 6 drops of lavender essential oil. After that, store this mixture in a tub with lid. Use it daily to soothe your dry and chapped lips. Lavender essential oil contains anti-inflammatory properties, so it can help reduce redness and ruddiness of the skin, and simultaneously restore your natural skin tone. When applied regularly, this essential oil can help reduce dark spots as well as other kinds of skin discolorations. Addition to this, lavender oil can also help lighten the hyper-pigmented skin, especially for those with oily skin. This sounds strange when it comes to learning lavender oil benefits for face, but it actually does work. 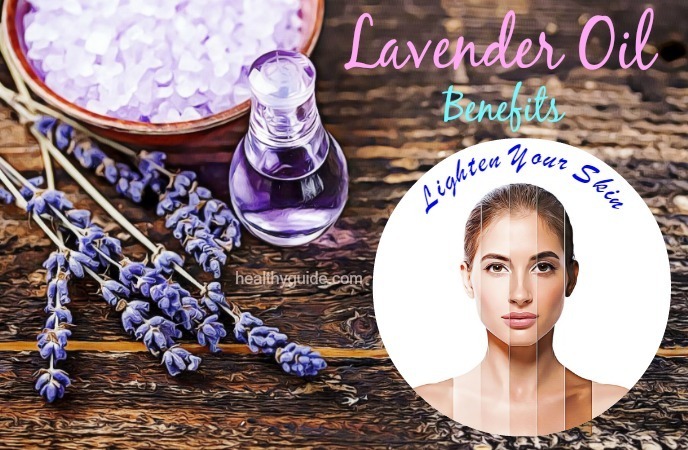 According to a study about essential oils for wrinkles , lavender essential oil contains powerful antioxidants, so it can help in protecting your skin from harmful free radicals, which may cause wrinkles, fine lines and other signs of aging skin. In order to prevent wrinkles with the help of lavender oil, you just need to mix some lavender oil with coconut oil, and then use this oil mixture as a natural moisturizer. Coconut oil itself is effective in keeping the skin healthy and youthful, and adding lavender for the better effects. Insect bites are not serious skin problems, but they can affect your daily activities. To get rid of these insect bites, you can make use of lavender oil. Simply, you just need to add some lavender oil on your insect bites, and then see the swelling and itching decrease. Actually, this essential oil can work as a great insect repellant and insect bite treatment. However, you should be careful while using lavender oil on the skin of children for insect bite treatment. According to a study, lavender oil must be used on children over the age of 2 years. To use lavender essential oil for reducing inflammation on the skin, you can mix 3–4 drops of lavender oil with ½ tsp. 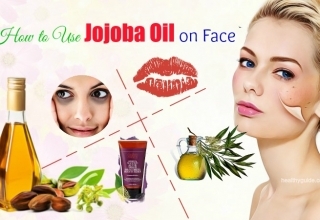 of jojoba or coconut oil. Then, massage this oil mixture into your affected skin area. Also, you can add lavender essential oil to your face wash. Alternatively, you can mix lavender oil with frankincense oil and then apply this oil mixture to your skin every morning and before going to bed. After a hard-working day, our muscles can get tired and a good massage with lavender oil can help you feel relaxed and refreshed at that point of time. Lavender oil has been proven to be effective in dealing with tired muscles. Ideally, you can try making a lavender bath by simply adding 5-6 drops of lavender essential oil to a bowl of lukewarm water. Then, soak your feet or hands in this bowl for about 10 minutes. If you get sensitive skin, combine lavender oil with some coconut oil and then use this oil mixture to massage. Also, you can apply some lavender oil to your feet nightly before you go to bed. Aside from relieving your tired muscles, this remedy can also hydrate and soften rough patches on your feet. There are some other lavender oil benefits for face in this article today. So, you should keep both of your eyes on this interesting article and then try to make use of this essential oil at home for good. If you want to know lavender oil benefits for face, its ability to heal wounds is what you should not look down. According to a study , lavender oil contains antiseptic properties, so this essential oil can be used to heal wounds and cuts. It promotes the cell growth and the healing of wounds. Besides, the antimicrobial properties of lavender oil can protect your wounds from infection. Simply, you mix lavender oil with extra virgin olive oil in a ratio 1:10 and then apply this oil mixture to your wounds. Lavender essential oil can exhibit antibacterial activity, and it can also kill off fungal infections on the skin. 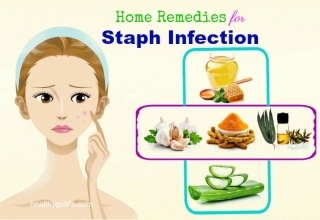 According to a study, this essential oil is effective in fighting against fungus as well as preventing the infection in host tissues from spreading. Therefore, if you are looking for natural remedies for skin fungus, you should not forget the lavender essential oil. Using lavender essential oil to massage your scalp can help treat hair loss and simultaneously stimulate healthy hair growth within several months. A therapeutic massage can help promote blood circulation to the scalp, hence treating hair loss. Besides, lavender essential oil can help reduce stress, insomnia, anxiety and depression, all of which are known as common causes of hair loss. According to a research, when you combine lavender oil with other herbs, this combination can help increase the efficiency. 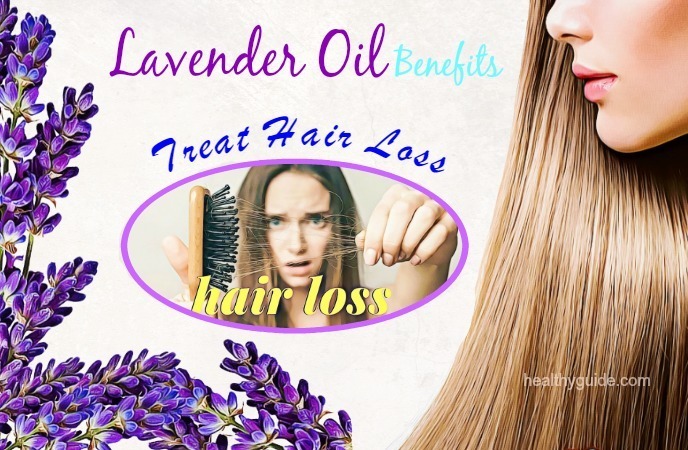 Treating head lice is worth mentioning in this list of lavender oil benefits for hair due to its powerful properties. Working as a powerful antiseptic agent, lavender essential oil can help treat head lice and lice eggs. Simply, you just need to massage your scalp with a few drops of lavender oil in order to kill off both the head lice and nits. For the best results, massage your scalp using lavender oil about 20 minutes before you wash your hair. Then, heat this mixture for 10 seconds in the microwave. Use this warm oil mixture to massage your hair and scalp and then cover your head with a shower cap. Leave it on for an hour before washing it off with your mild shampoo. Mix 5 drops each of lavender oil and rosemary oil with 3 tbsp. of unscented oil. Then, use this oil mixture to massage your scalp and leave it on for about 10 minutes. When it comes to learning lavender oil benefits for scalp and hair, lavender oil can also be used as a natural conditioner. 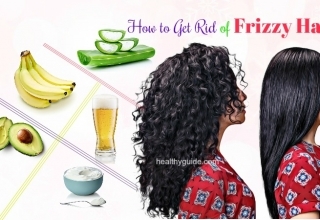 This remedy can make your hair fragrant and shiny, and simultaneously treat dandruff. Here is the instruction for making a conditioner with the help of lavender oil. Add some lavender essential oil to that solution. After that, rinse your hair with the solution and wait for about 15 minutes. Repeat this home remedy regularly for the best results. Lavender oil can be a safe when included in your haircare regimen. Studies show this essential oil can promote hair growth and prevent some hair problems. Lavender oil offers many different health benefits as follows. Lavender oil has been found to be effective in relieving migraine headaches and preventing further headache. Massaging the neck, temples and forehead using a few drops of lavender oil can help relieve head and neck tension, and simultaneously promote relaxation. This method can treat a variety of headaches such as general headaches, migraines, gastric headaches, sinus headaches, nervous headaches, as well as tension headaches. Another one among lavender benefits is relieving nausea, which is highly recommended for those who are suffering from nausea symptoms. Lavender essential oil is great for relieving the nausea symptoms. Simply, place some lavender oil on the area behind your ears, the end of your tongue, or under your navel. Also, according to a research, lavender oil can be used to prevent motion sickness. Lavender essential oil is a great alternative to colognes and perfumes for both men and women. You can either apply pure lavender oil directly onto your skin, or dilute it with a carrier oil or in water to get a more subtle scent. Nowadays, indigestion is a common health problem, and according to a research about indigestion , it is characterized by vomiting, abdominal pain and burning sensation in the stomach. Using lavender essential oil can allow your body to digest fats more easily by soothing the digestive tract’s lining and stimulating the bile secretion. Besides, it also relieves constipation and gas. Consuming lavender tea is actually a great way for you to reduce indigestion and nervous intestinal disorders. For that, you can boil 1 tbsp. of lavender buds in water and then use this water for making lavender tea. The bad bacteria overgrowth in your body can lead to bloating. Fortunately,, lavender oil contains polyphenols, which can help reduce the ‘bad’ bacteria, hence reducing bloating. Therefore, if you are facing bloating, you can sprinkle dried lavender onto a container of Greek yogurt. This home remedy can help reduce bloating and improve your digestion. Lavender oil is effective in treating depression and anxiety thanks to its sedative, calming and anti-convulsive properties. Therefore, this essential oil is often used to promote relaxation and deal with restlessness. To treat anxiety and stress with the help of lavender, you can place some lavender stems in the corner of your room. Its soothing aroma will help relieve stress and also repel mosquitoes without causing any unwanted side effects. 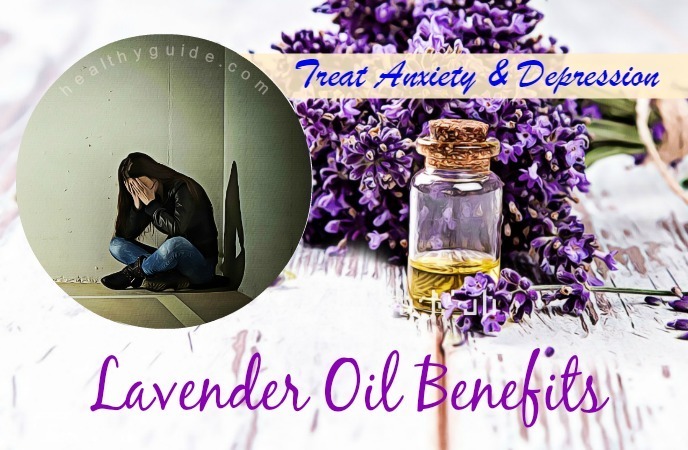 Alternatively, you can massage your hands with a lavender oil mixture to have a positive effect on your depression and stress. Do you want to discover other lavender oil benefits for health? If yes, continue to read the remaining of this article and then consider including this essential oil in your healthcare routine as soon as possible. By applying the lavender essential oil to your neck, chest, or back, you can reduce the respiratory problem symptoms, including sinus congestion, the common cold, the flu, bronchitis, cough, asthma and allergies. Lavender oil contains stimulating effects, so it can help loosen up the phlegm, reduces the congestion, stimulates the recovery process as well as eliminates phlegm and other harmful material. Breathing in the lavender oil can help deal with a respiratory infection as well, hence helping you feel better more quickly. For better effects, you can try adding a few drops of lavender essential oil to a diffuser and putting it on the skin and breathing in the vapors. According to a study about the smell and sleep , lavender essential oil is known as a traditional way to promote sound sleep. This herb is effective in treating restless leg syndrome, insomnia and exhaustion because it can soothe your nervous system and simultaneously induce relaxation and sleep. According to a study, its aroma induces alpha waves in the brain area where is responsible for relaxation, hence helping you fall asleep more easily. To treat insomnia with the help of lavender, you can try making your own sleep spray. Firstly, you mix 6 drops of lavender oil with 1 tsp. of witch hazel in ½ cup of water. Then, you pour it into a clean spray bottle and before going to bed, drizzle it onto clean skin. Alternatively, you can make lavender tea from some dried lavender flowers. Lavender oil can be used to increase blood circulation. An increase in blood circulation can be good for the heart, muscles as well as arteries throughout the body, hence increasing oxygen-rich blood circulation to all the extremities. It also reduces blood pressure, treats hypertension, and promotes muscle strength. Simply, you just need to apply a few drops of lavender essential oil on your skin, wrists, feet, temples, etc. Then, you lie down comfortably with your legs raised. In regard to learning lavender oil benefits, this essential oil can be used to repel insects. While we enjoy the scent of lavender oil, this scent may be offensive to many kinds of insects, which makes it a great bug repellent. The only thing you need to do is to mix some lavender oil with 1 tsp. of carrier oil. Then, apply this oil mixture onto your exposed skin when going outside. Lavender essential oil may be effective in treating urinary disorders thanks to its stimulating effect. Moreover, using lavender oil can help in maintaining hormonal balance and simultaneously reducing inflammation of the urinary bladder. Besides, it also helps reduce cramps associated with urinary disorders. There is a research about the effects of lavender when combined with other essential oils on preventing the occurrence of breast cancer. Another study shows that using lavender oil helps patients who have cancer deal with stress, chronic pain, nausea and depression. This is because lavender oil can stimulate the immunity, improve sleep, boost mood and reduce stress. One of the most important lavender oil benefits that have been used for both men and women is its ability to improve immunity. Regular use of lavender oil offers many different diseases a resistance. Lavender essential oil contains antibacterial and antiviral properties that help defend your body against some rare diseases such as typhoid, and diphtheria. You can treat a nosebleed by adding some lavender oil to a clean cotton cloth that is used to make your icepack. Then, wrap an ice cube in the cloth and add 3 drops of lavender essential oil to the cloth. Now, hold this cloth firmly on the area between your nose and your upper lip while resting with your head back. Although more research is required to understand the effect of lavender oil on preventing or treating diabetes, the results indicate the therapeutic effect of lavender. If you want to use lavender oil for treating diabetes, you just need to apply it topically to the chest and neck. 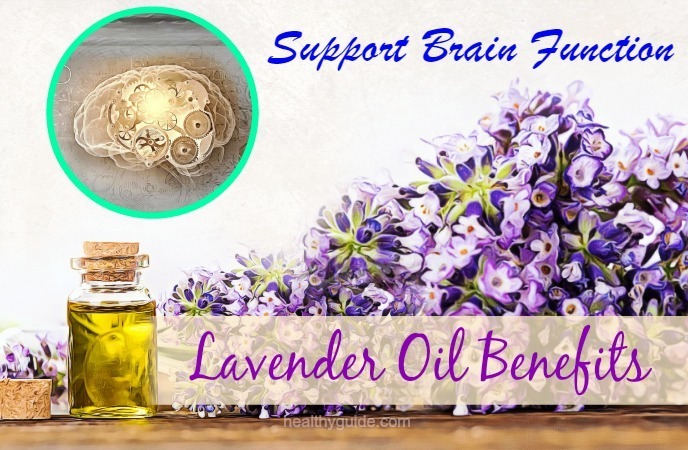 This is the last but very important one among the best lavender oil benefits that we want to mention in this article and want all of my readers to make use of this oil for good. Apart from boosting mood, the neurological effects of lavender essential oil can be used to naturally treat Alzheimer’s disease . According to a study, inhaling lavender oil vapor can help improve cognitive impairment and prevent brain oxidative stress. To support your brain function with lavender essential oil, you can inhale it directly, diffuse it at home, or apply it to your temples. For most people, using lavender oil is safe. However, in some cases, lavender oil can have interactions with other drugs, or for its use on children and pregnant women. Medication interactions: If you are taking drugs for depression or sleep-related disorders, using lavender oil can increase their effectiveness. Pregnant women: Pregnant women in their third trimester should be careful when using lavender oil. Children: Lavender oil can have effect on hormone levels, especially for young boys. So, parents should use caution if using this essential oil regularly on young children. Ingesting lavender oil: Lavender oil can be ingested at the dose of 80-160mg without causing unwanted side effects, but minor gastrointestinal symptoms. To avoid those, be careful when ingesting this essential oil if you get a sensitive digestive system. Diabetes: It is advised that people with diabetes should not use lavender oil. Allergy: It can also cause some allergic reactions to people who have sensitive skin. 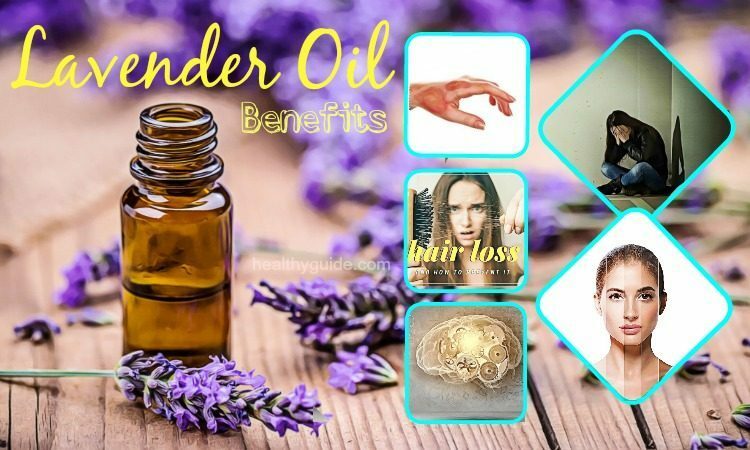 Our article mentioned some of the best lavender oil benefits for scalp, skin, hair, acne, and face, hair and health and how to use it without causing any unwanted side effect. We hope that you can find this article helpful and can make use of this essential oil at home for good. If you have any concerns about this article introduced in Beauty Category, remember to leave your comments in the comment section below. We will try to reply as soon as possible.